If a show appears to be sold out, or if it is less than 24 hours away, please call our Box Office at (773) 205-9600. We hold a number of tickets for Group Reservations and last minute purchasers. Join us for Trivia Night at our first fundraiser of 2019! 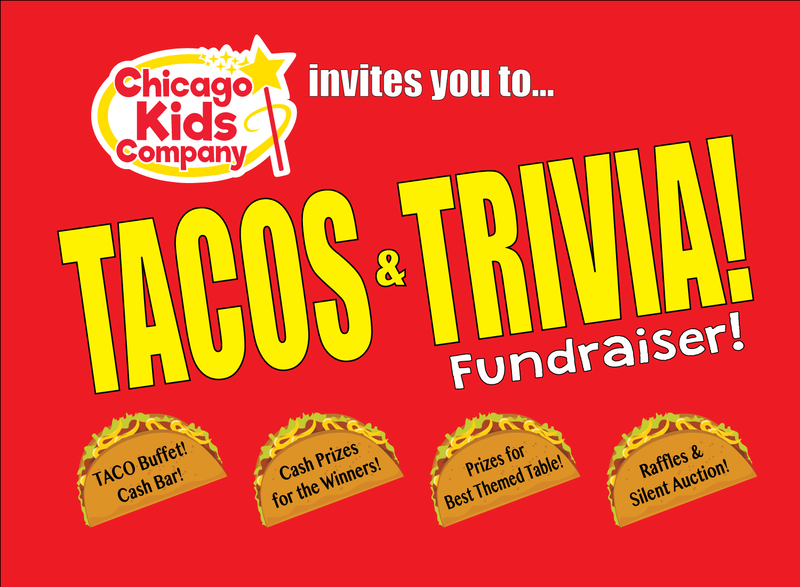 Tickets include a Taco Dinner Buffet, a Silent Auction (with fabulous theater and dining experiences), Door Prizes, a Cash Bar, and a live Trivia Competition (with prizes for the top teams). Grab your friends and get a table! ($400, up to 8 guests). Pick a Theme for your table and get creative! (Costumes, Decorations, etc). Prizes will be awarded for Best Table Theme. Or purchase single tickets ($55), and we will set you up with a table of new friends! Can't make it? Make a DONATION HERE! All proceeds from the evening will go to the "Theater For All" Fund which was created to provide Chicago Public School students with the opportunity to experience the magic of theater at low or no-cost. Throughout the night: Cash Bar, Silent Auction and Door Prizes!